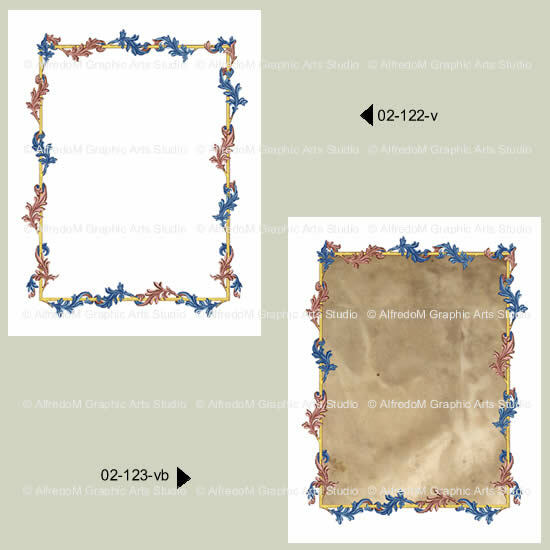 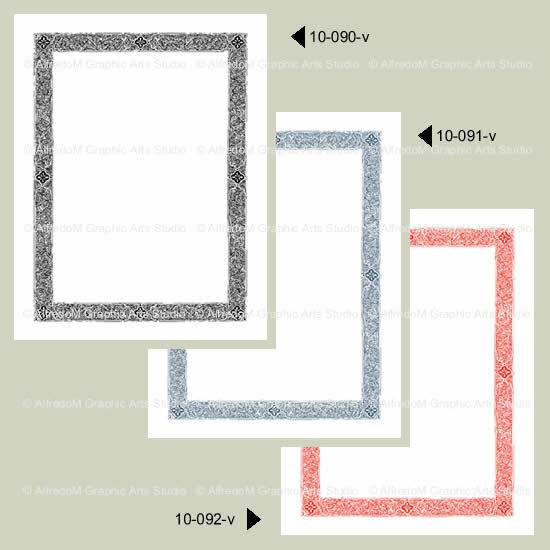 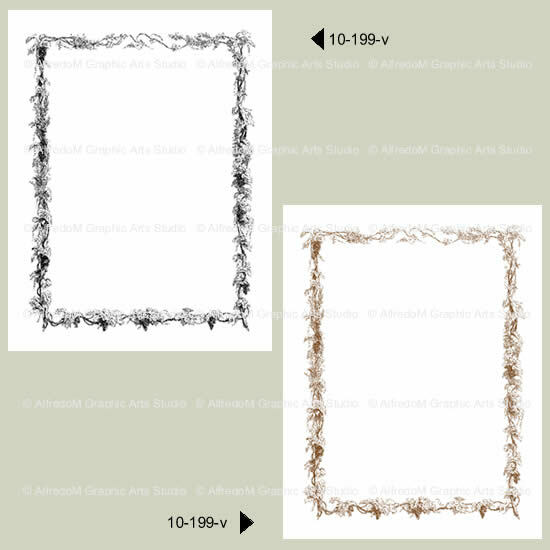 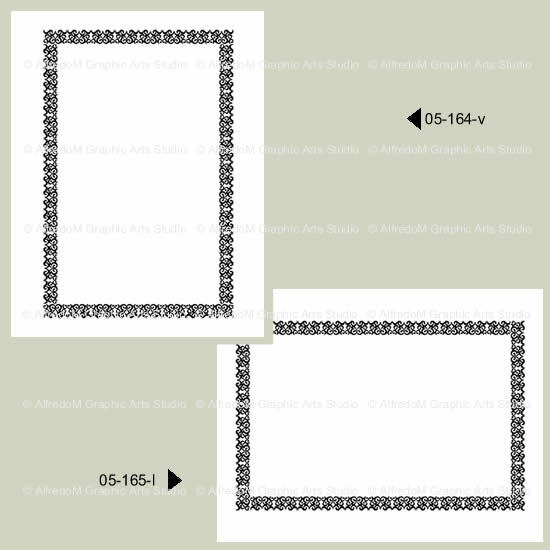 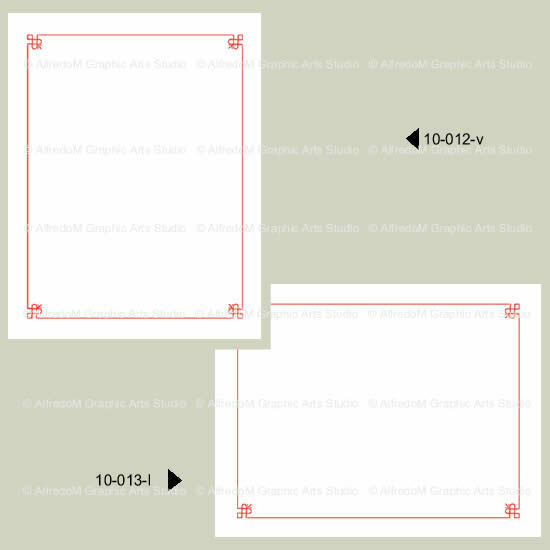 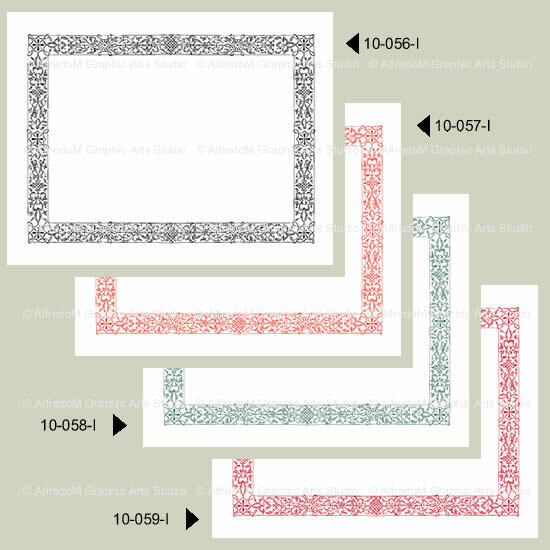 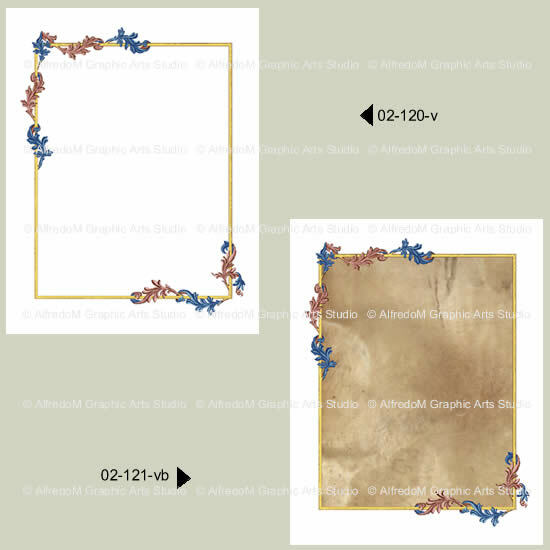 NOTE : This collection contains only Word document files with the borders already set in the background, does not contain our vector drawings in separate folders. 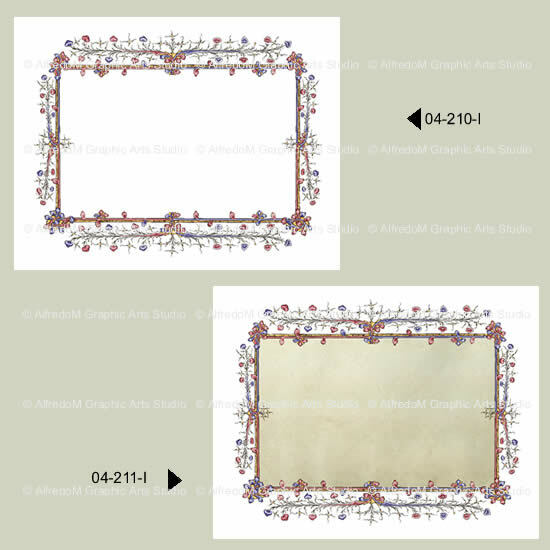 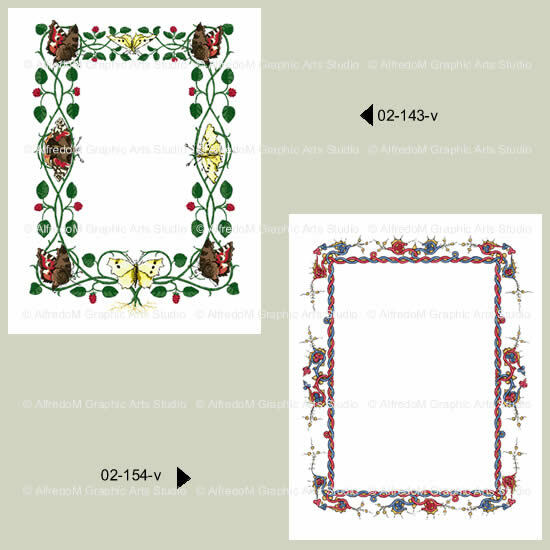 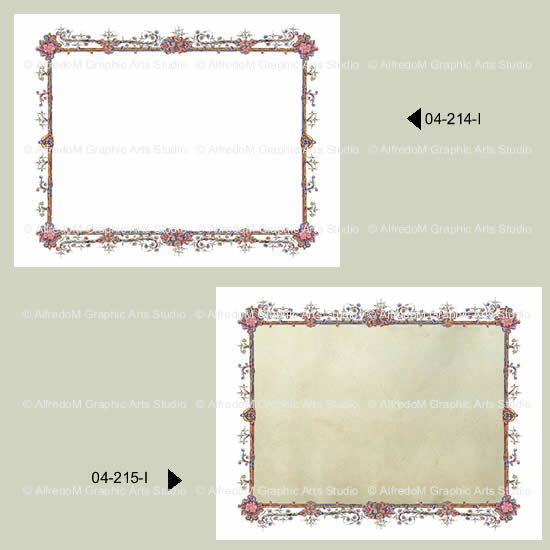 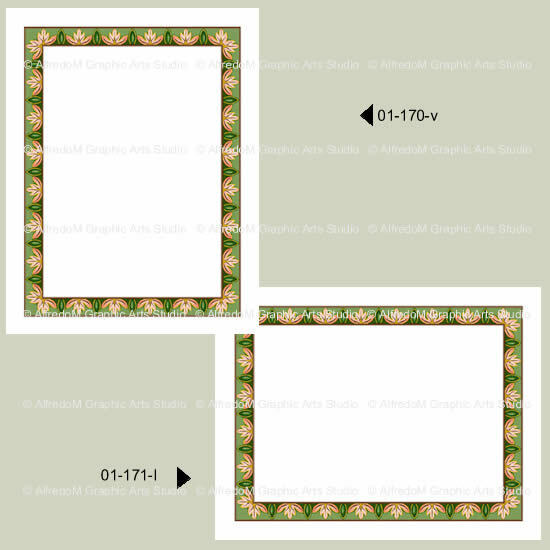 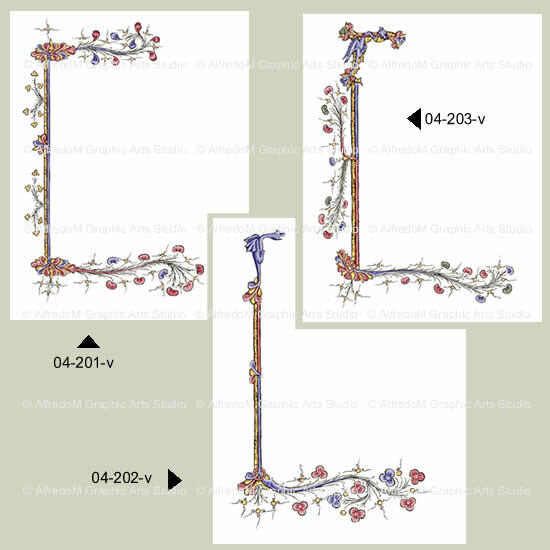 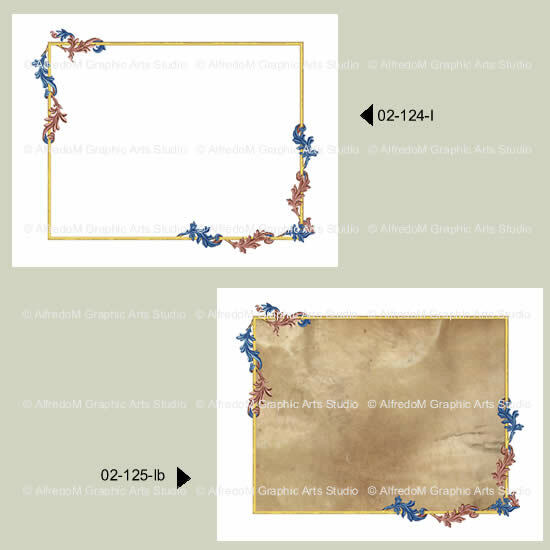 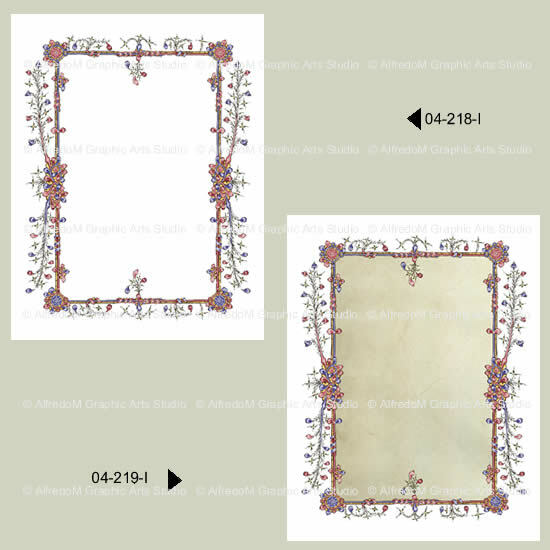 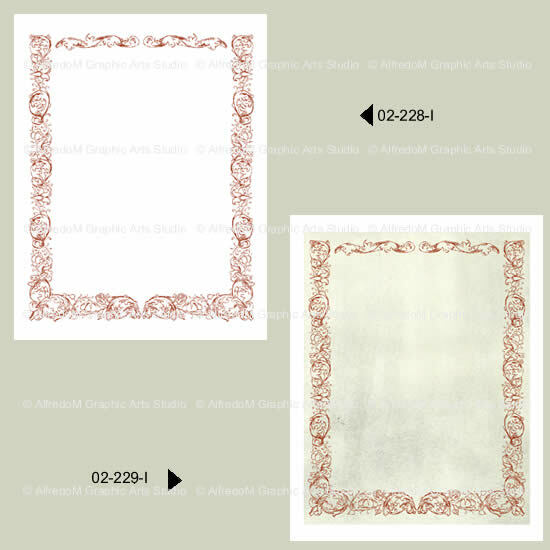 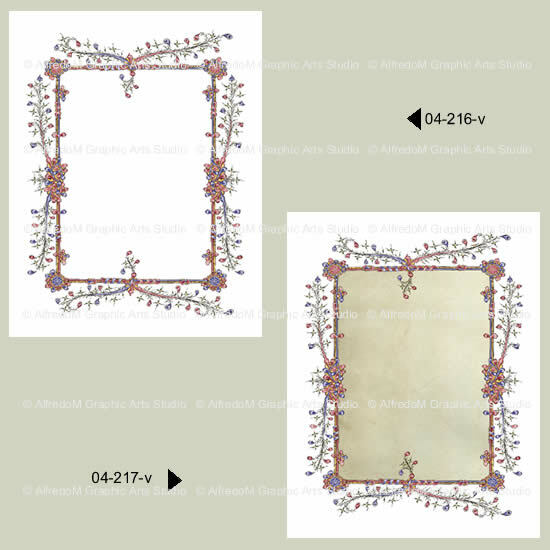 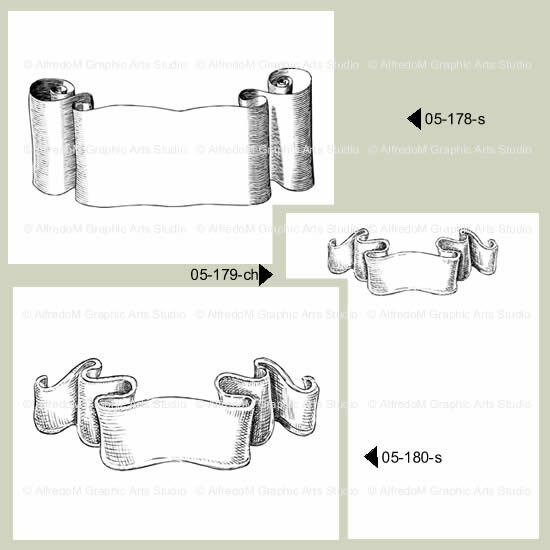 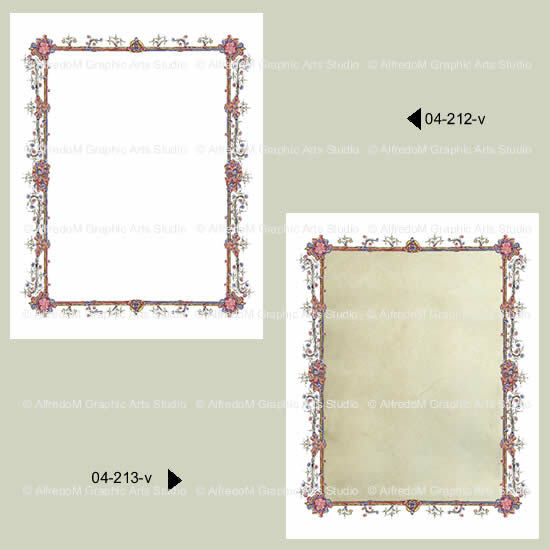 Medieval, Renaissance and Celtic, Illuminated Manuscripts Art hand redrawn in vector clip art graphic formats. 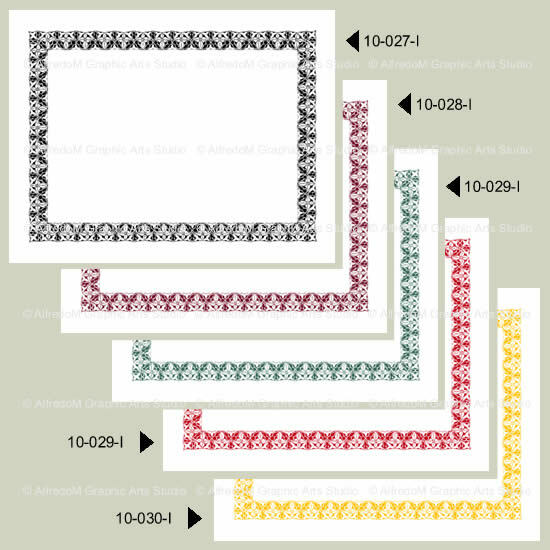 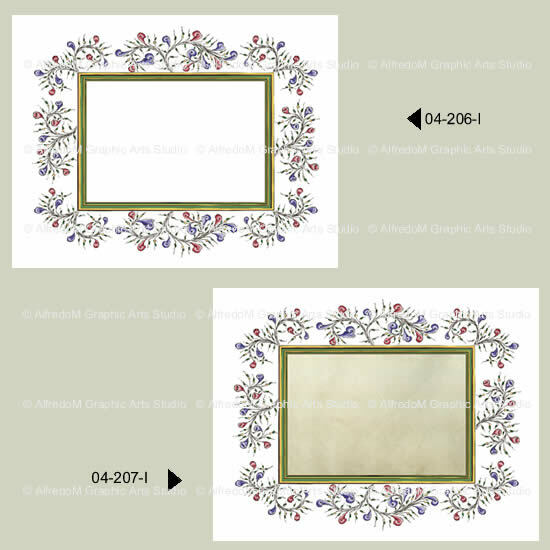 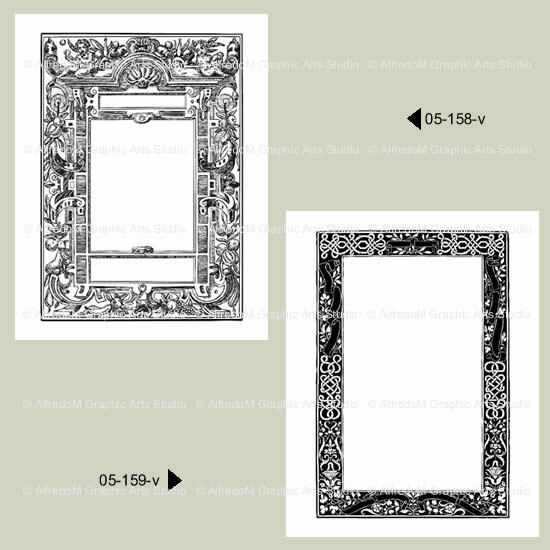 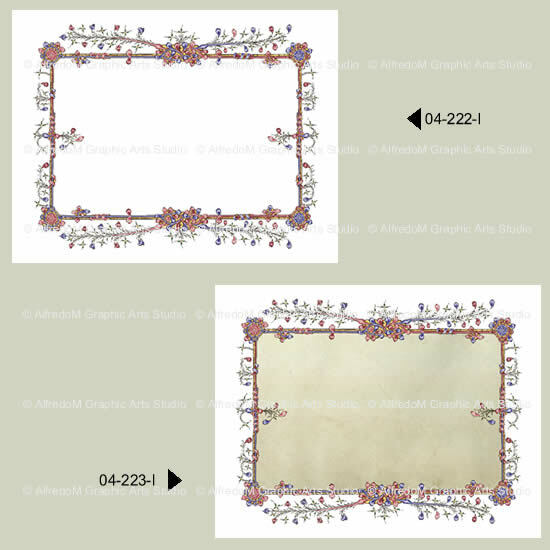 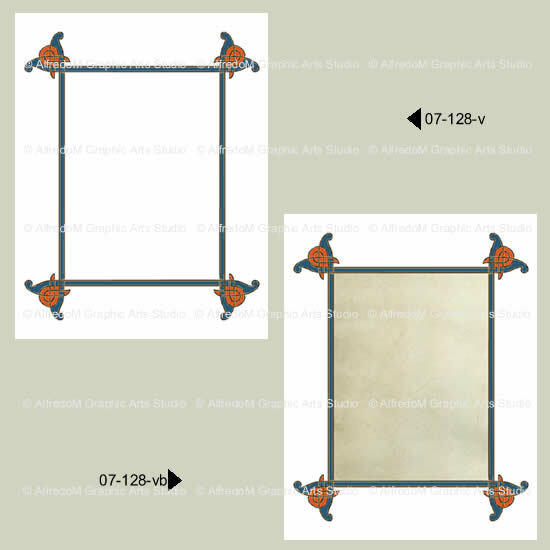 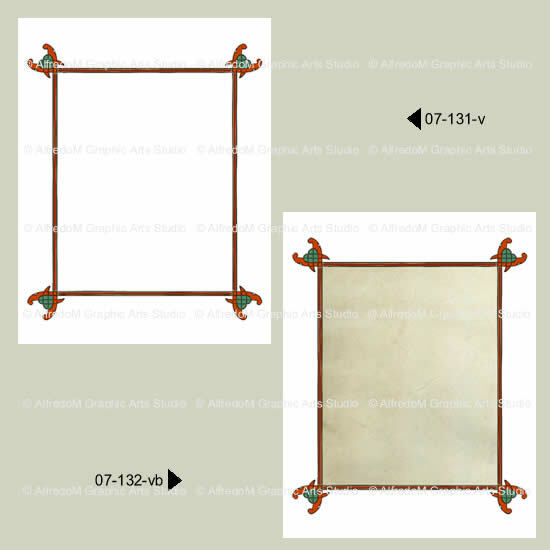 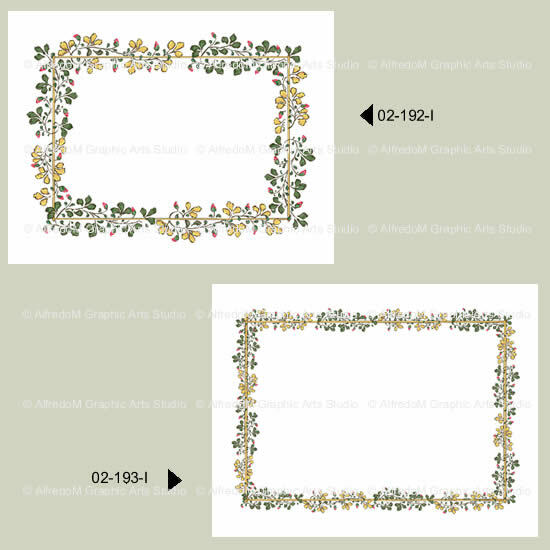 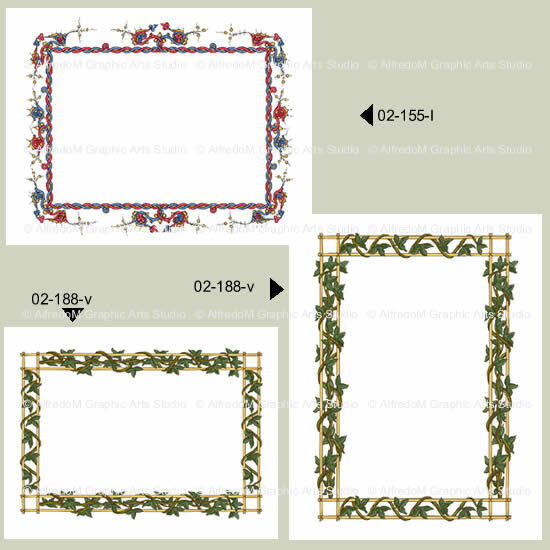 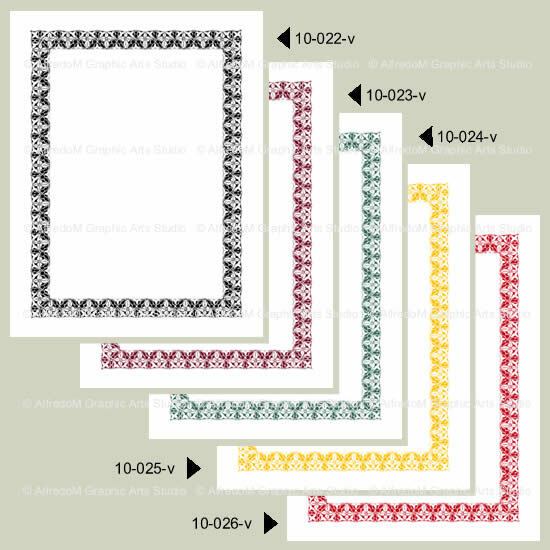 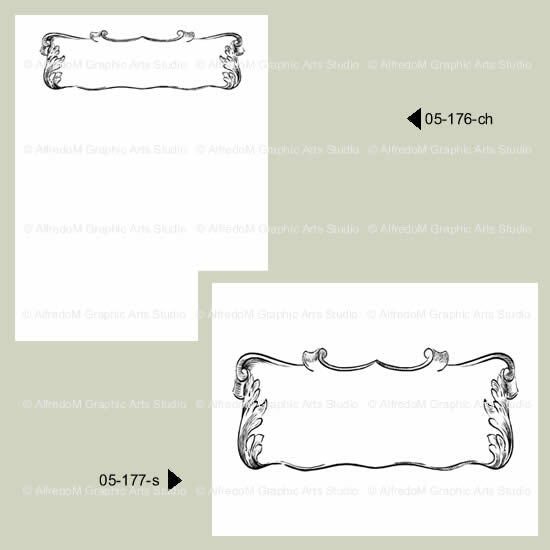 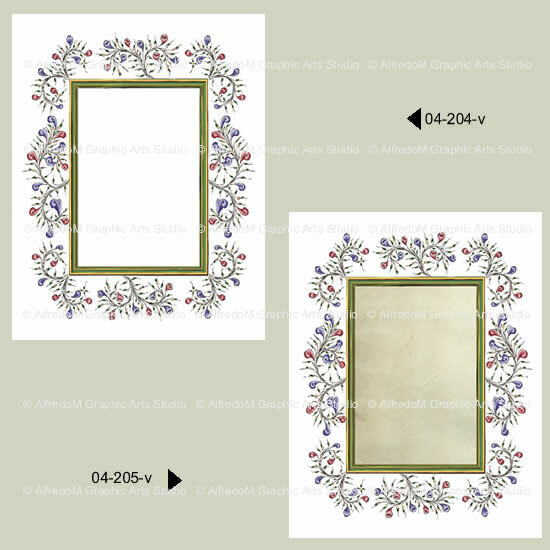 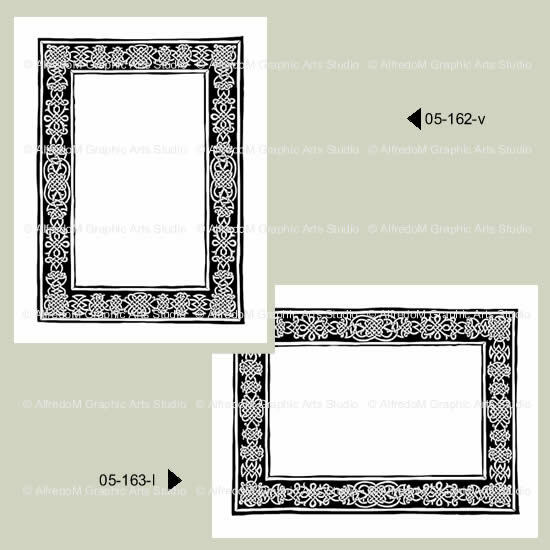 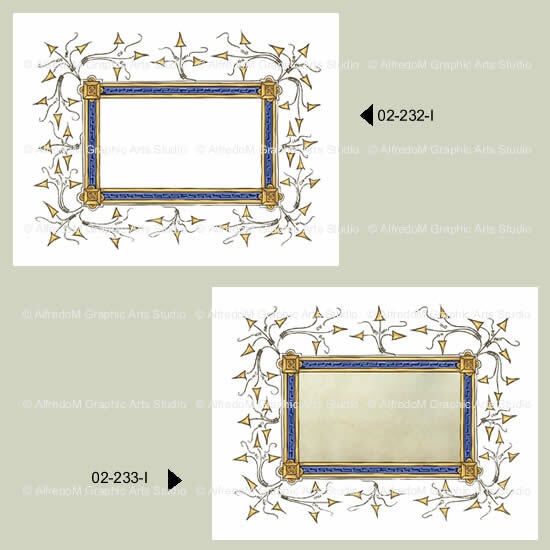 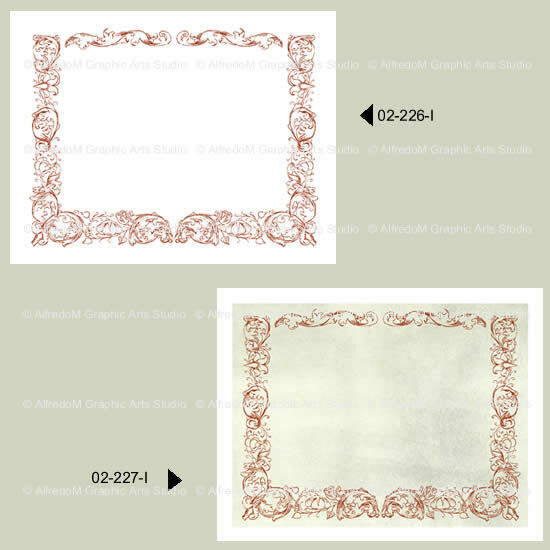 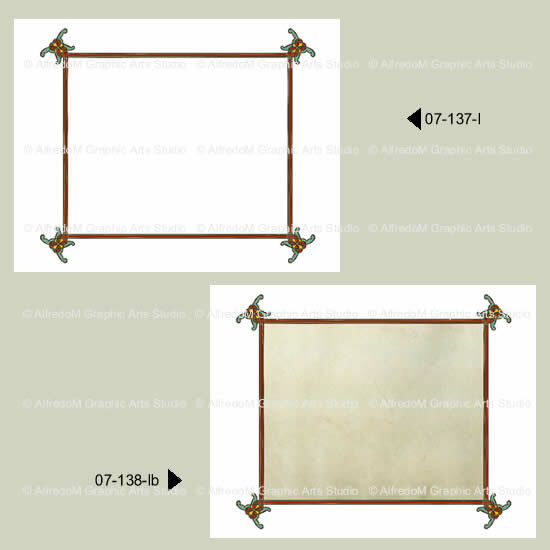 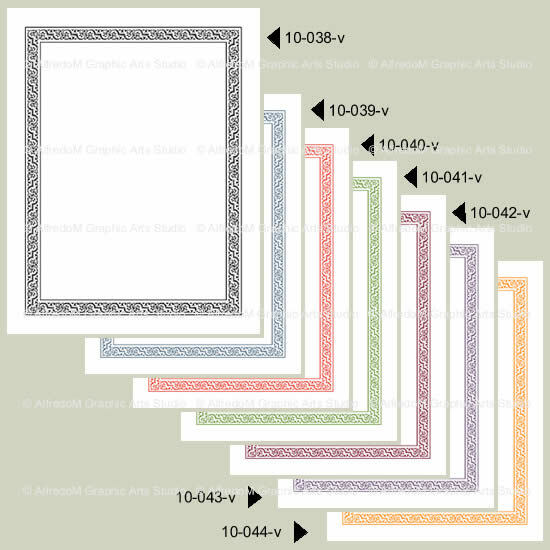 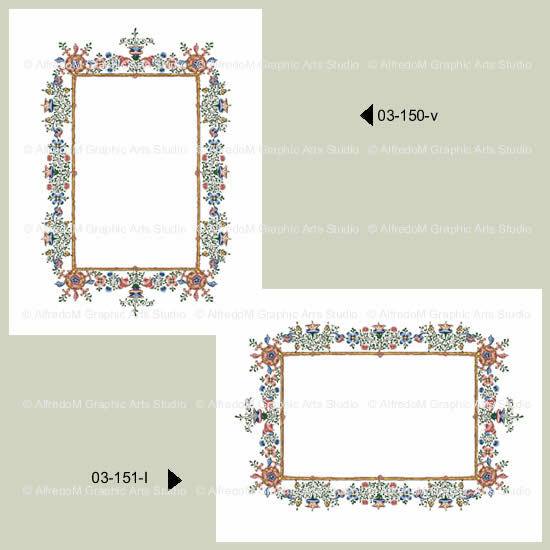 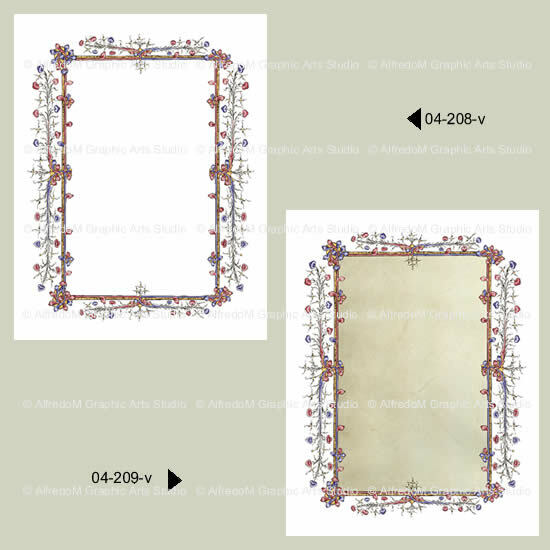 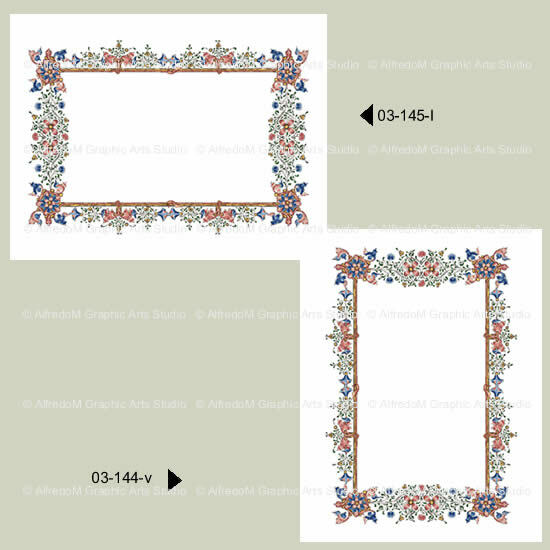 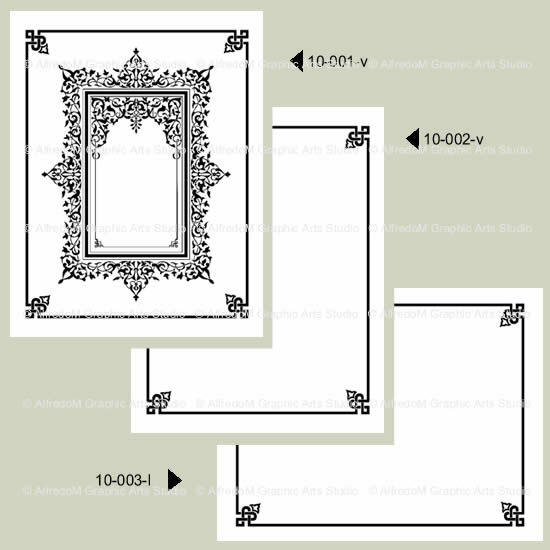 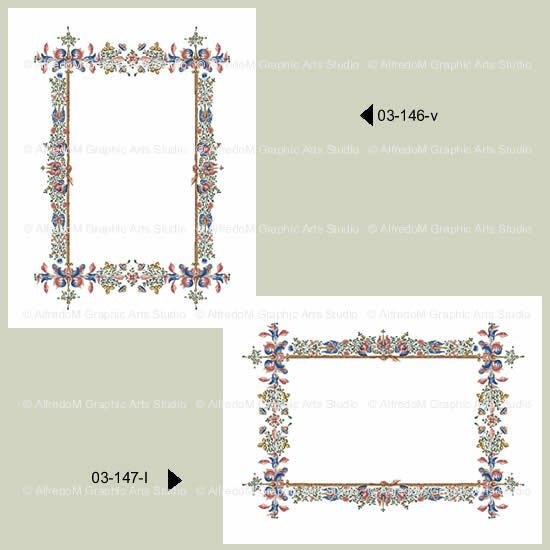 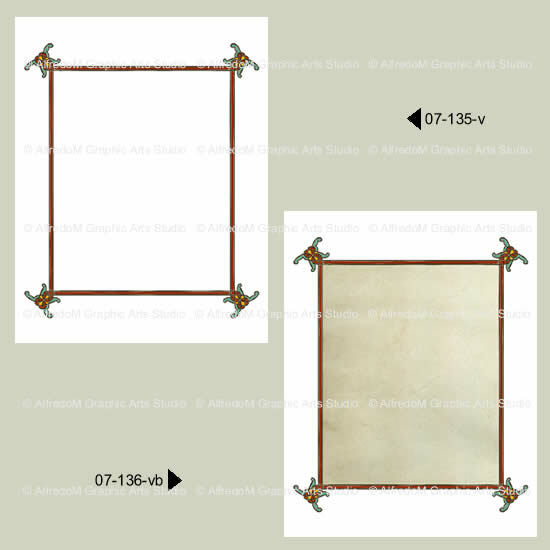 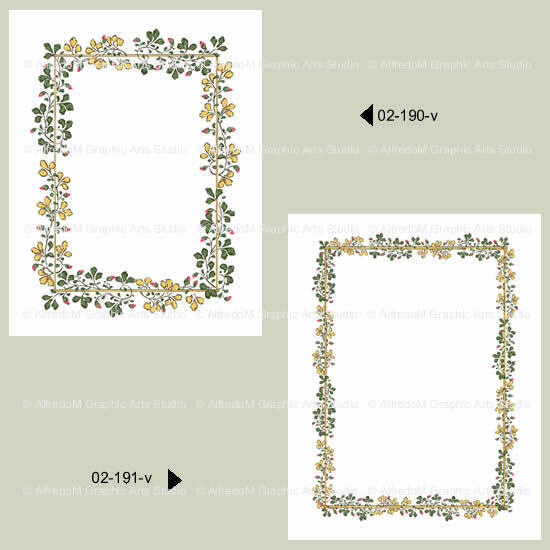 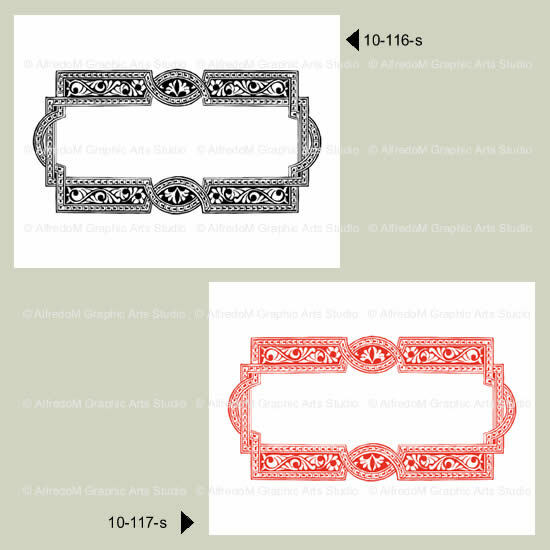 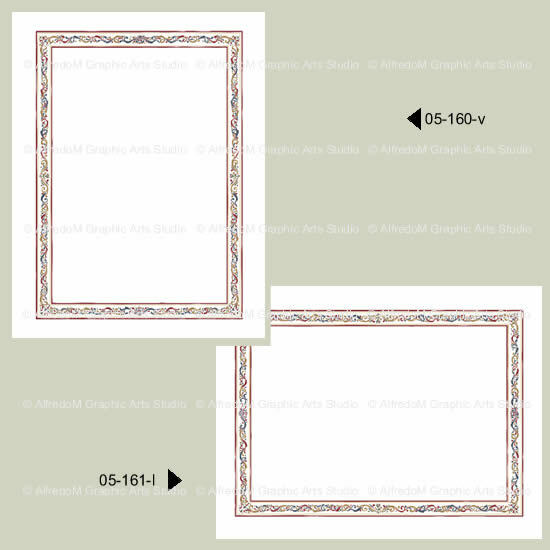 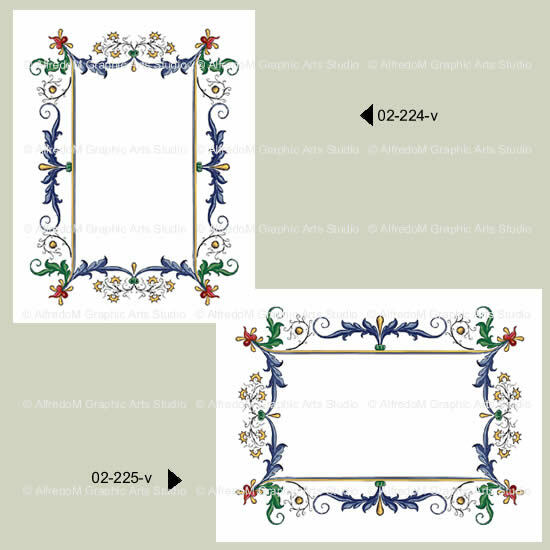 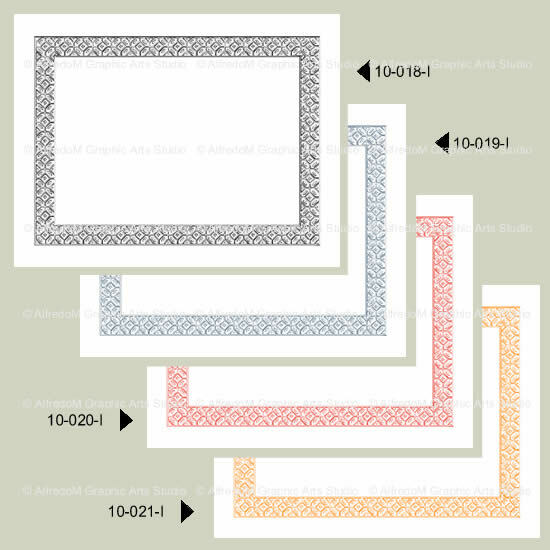 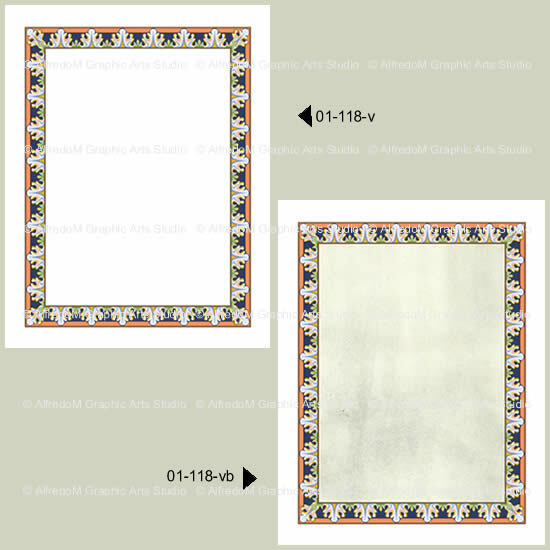 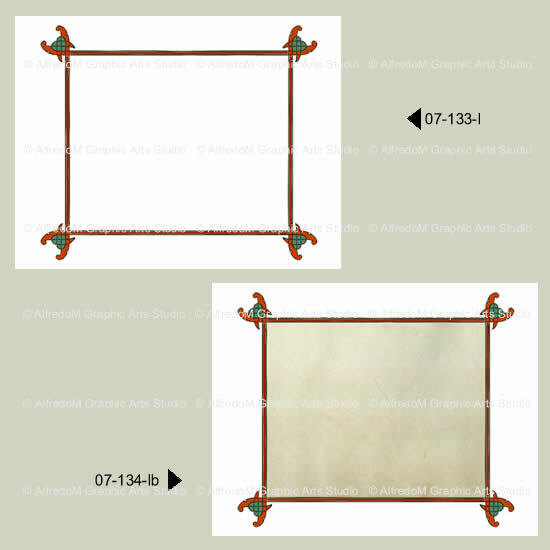 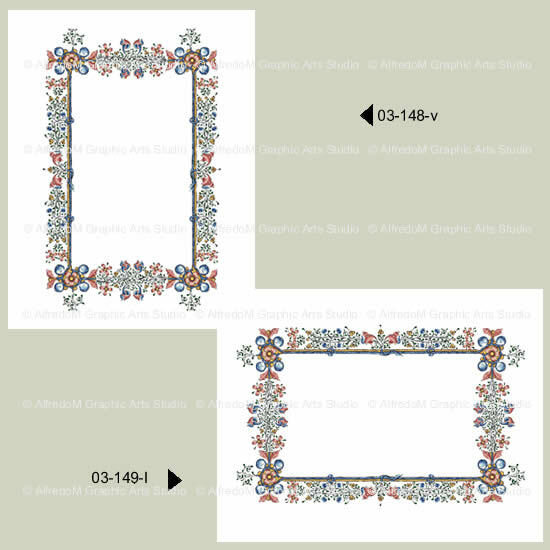 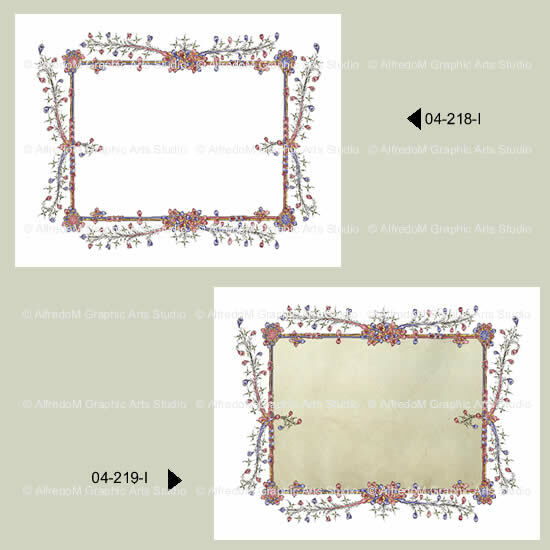 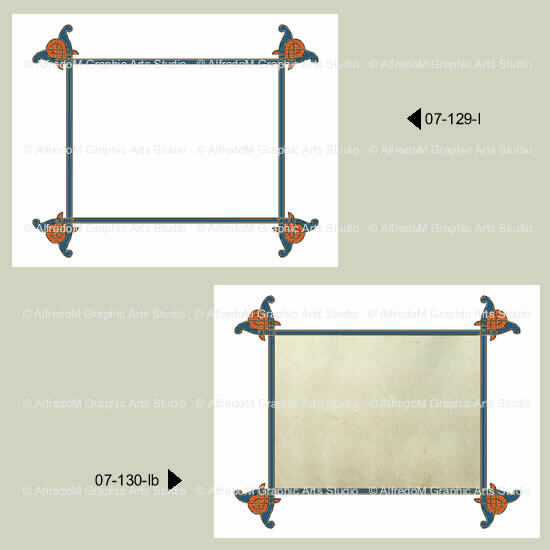 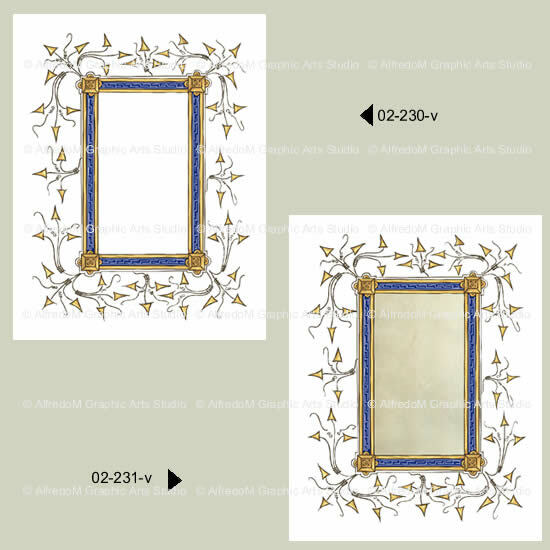 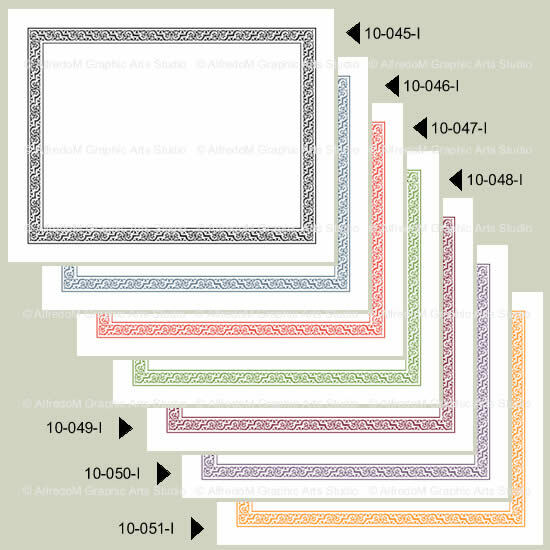 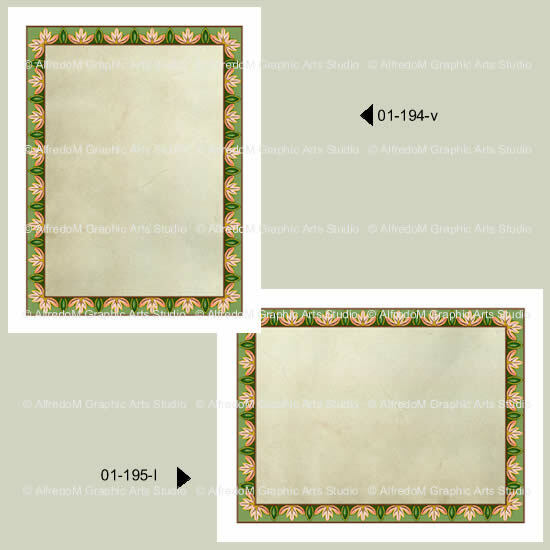 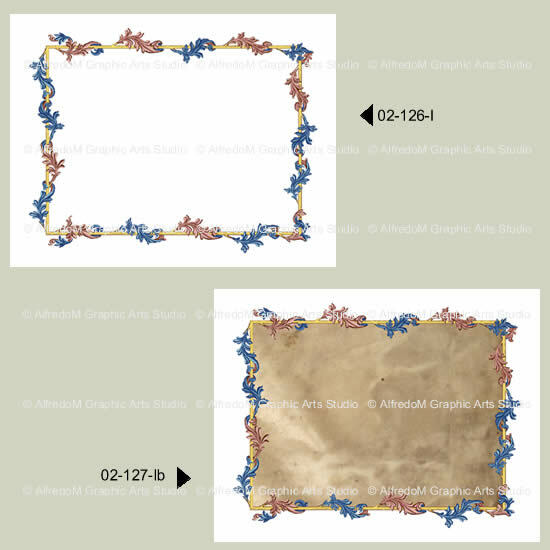 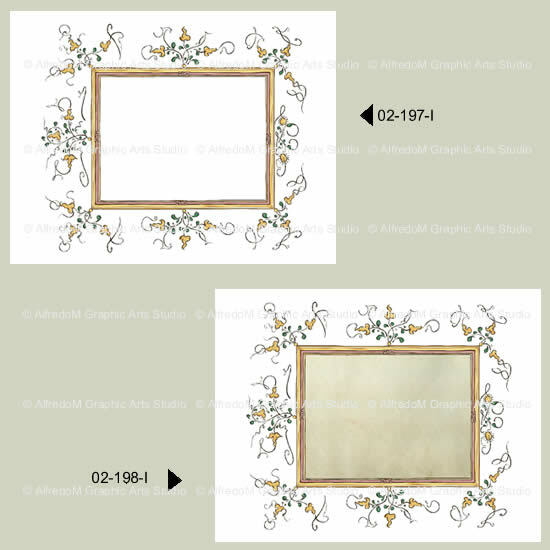 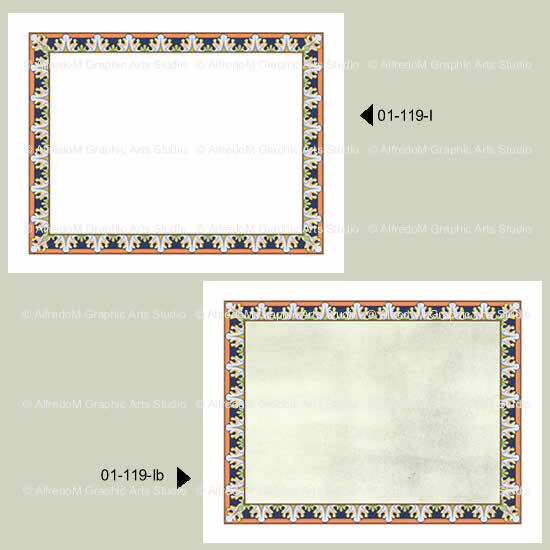 Decorative borders from the Middle Age, the Renaissance, the Celtic, the Victorian and the Arts and Crafts Movement. 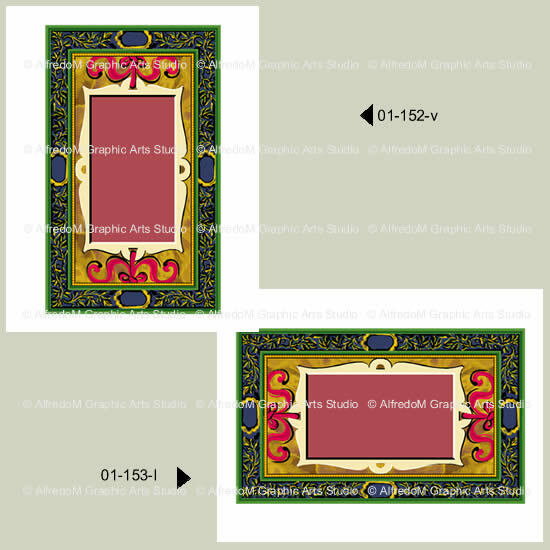 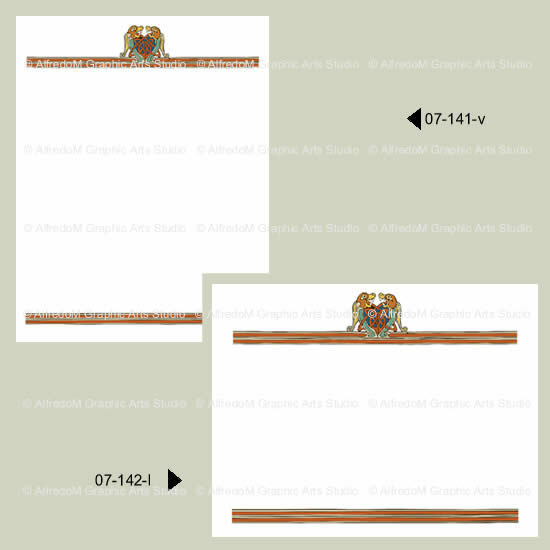 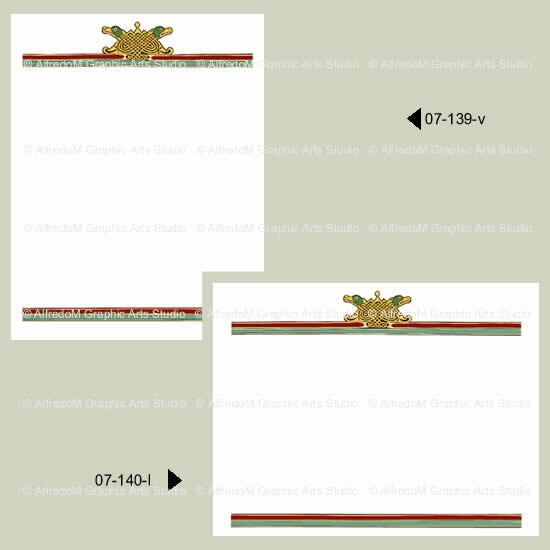 The finest examples of Illuminated Manuscript art and Illustration Arts are now as easy to employ as Clip Art for your special events. 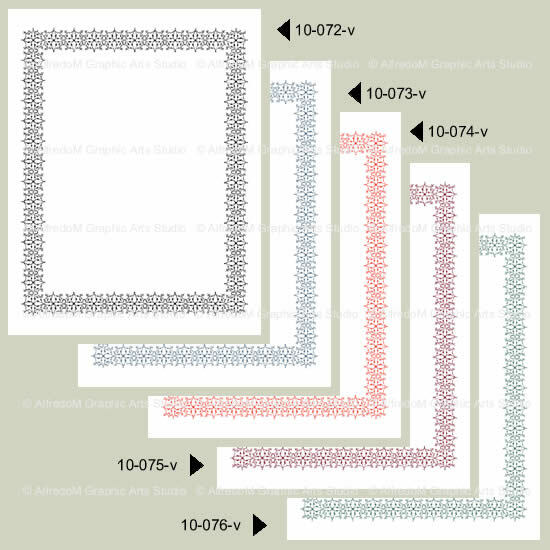 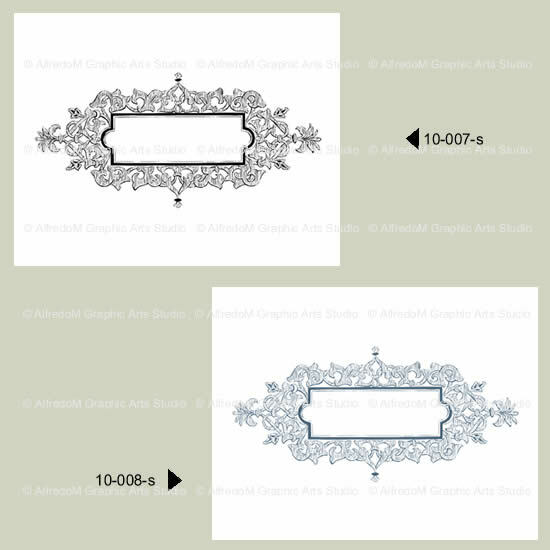 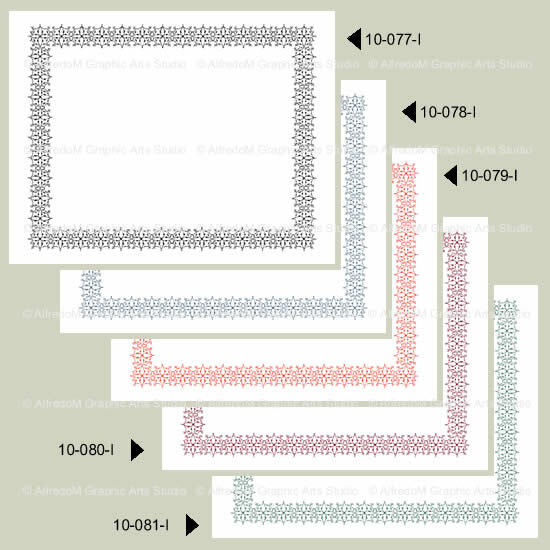 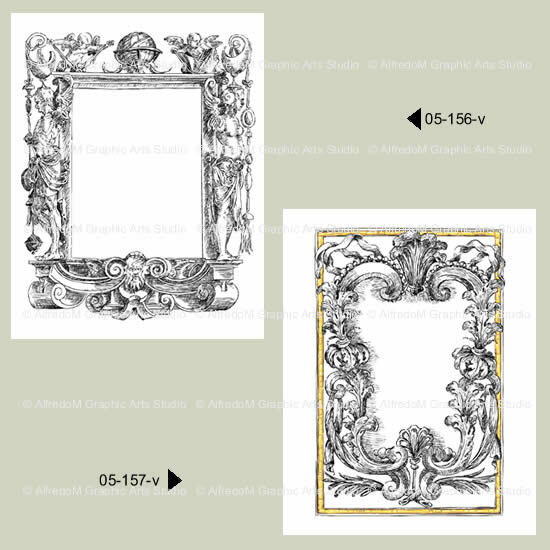 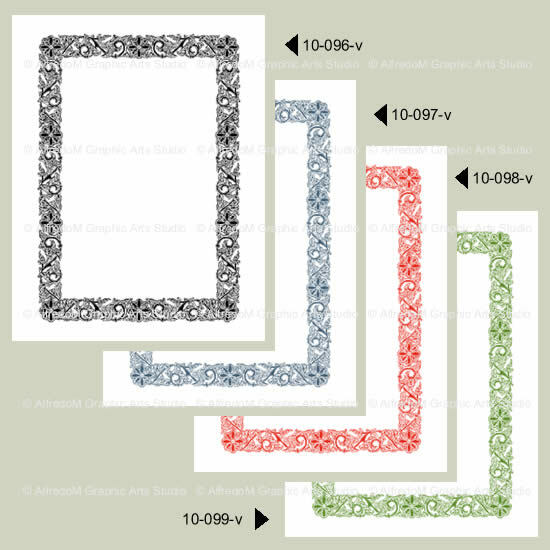 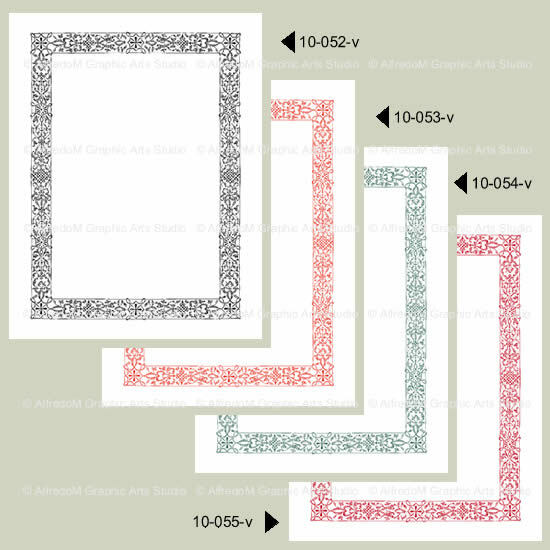 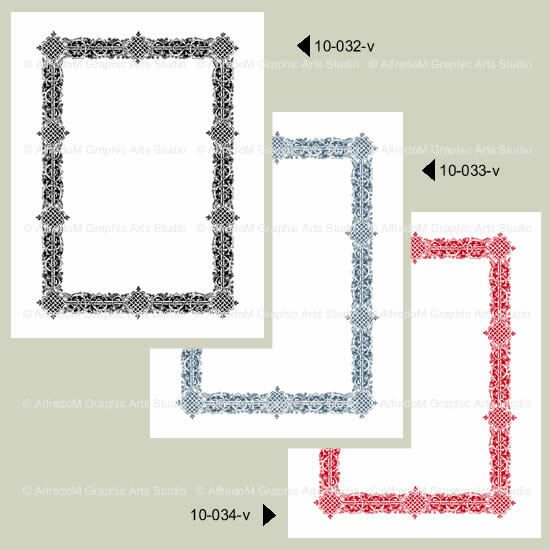 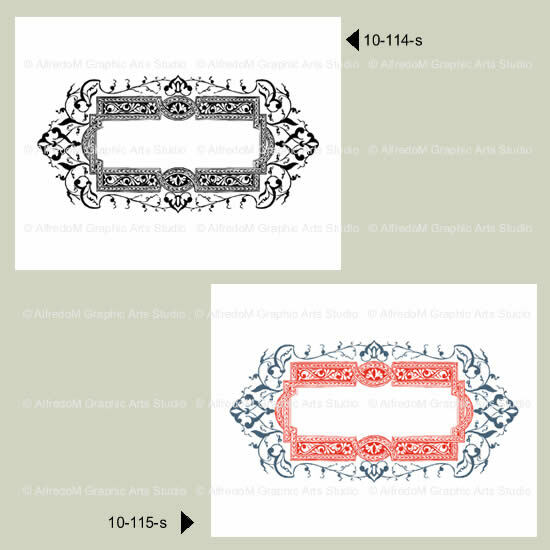 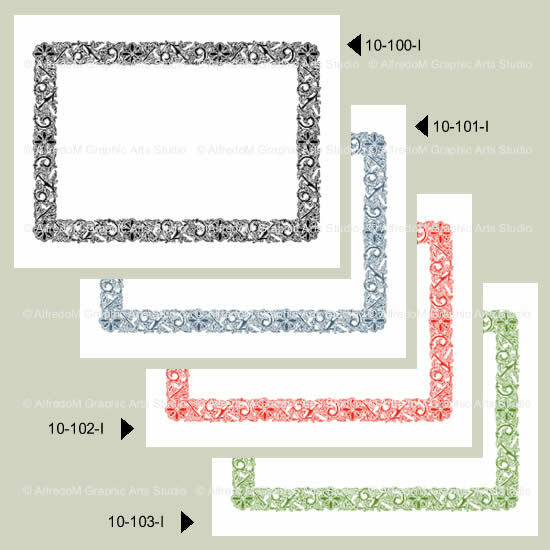 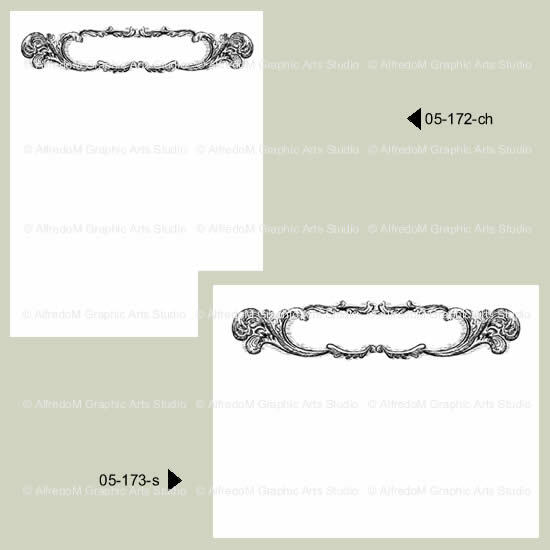 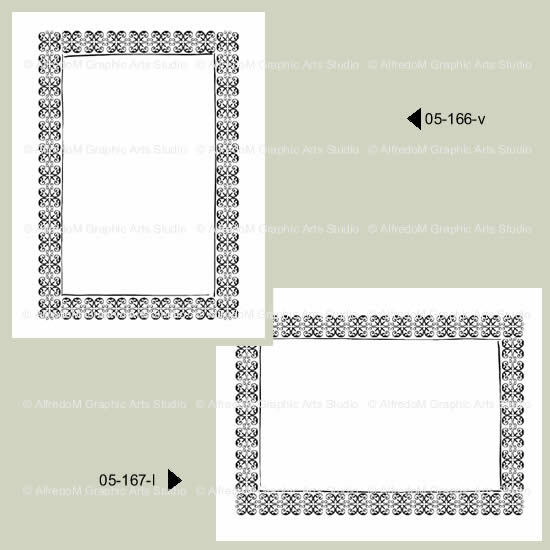 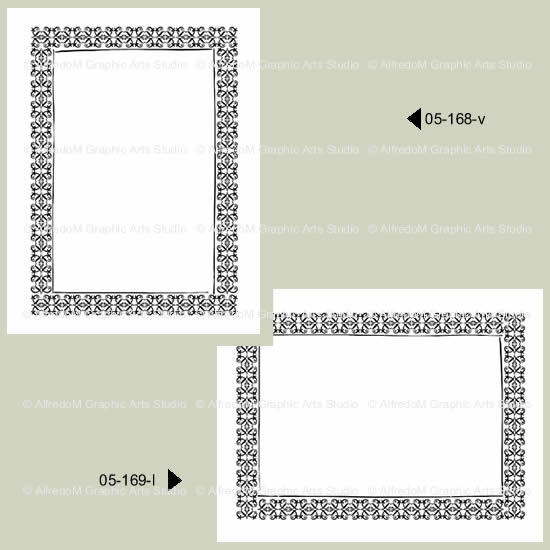 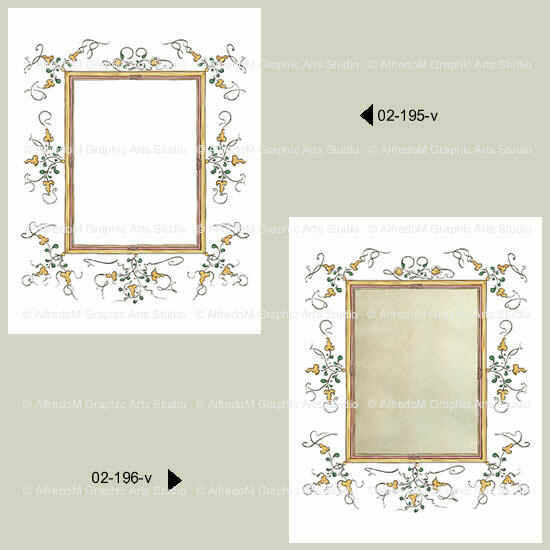 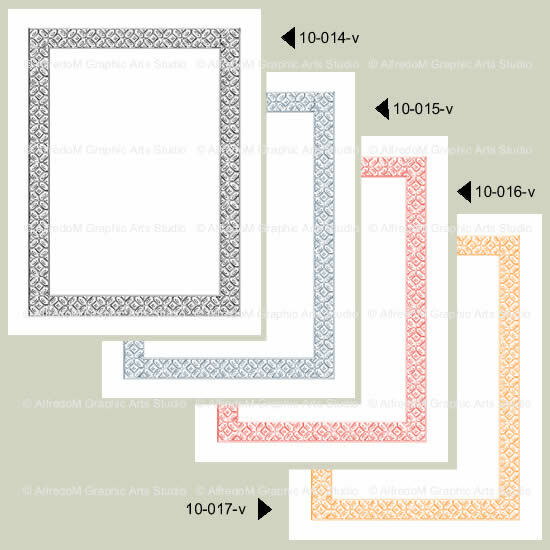 Each decorative image and element has been meticulously hand-drawn by AlfredoM in vector format. 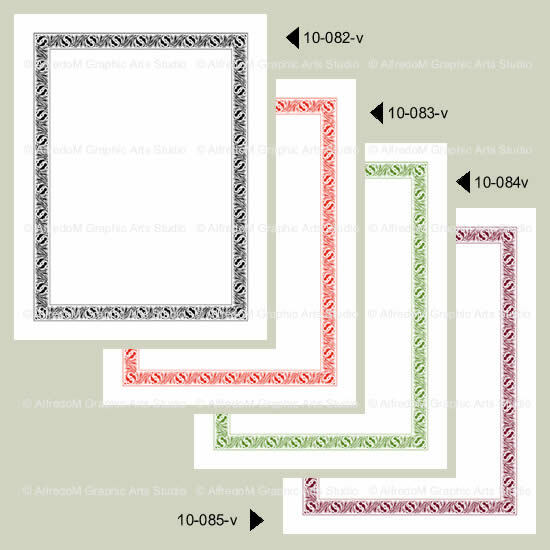 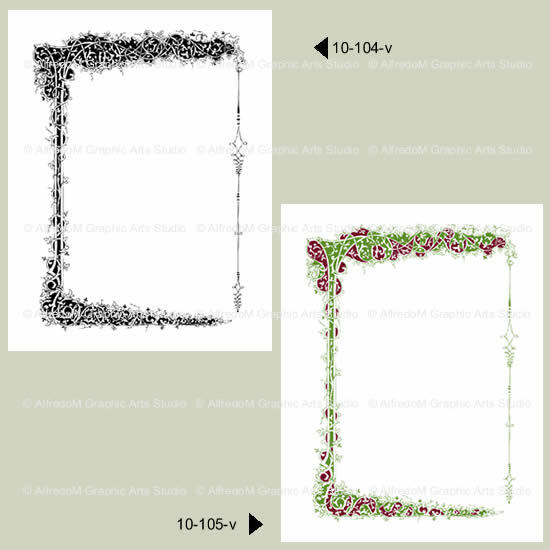 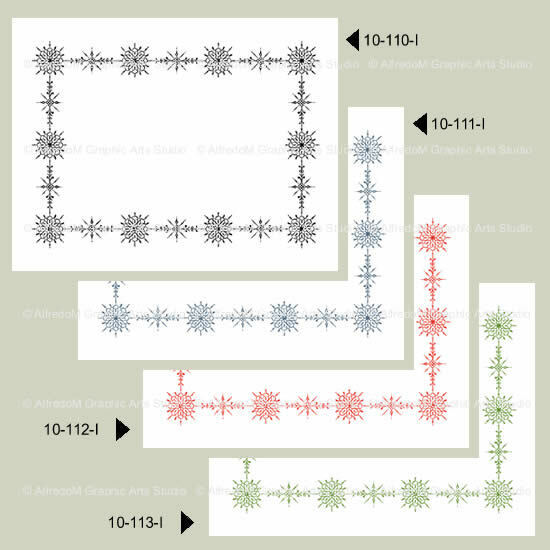 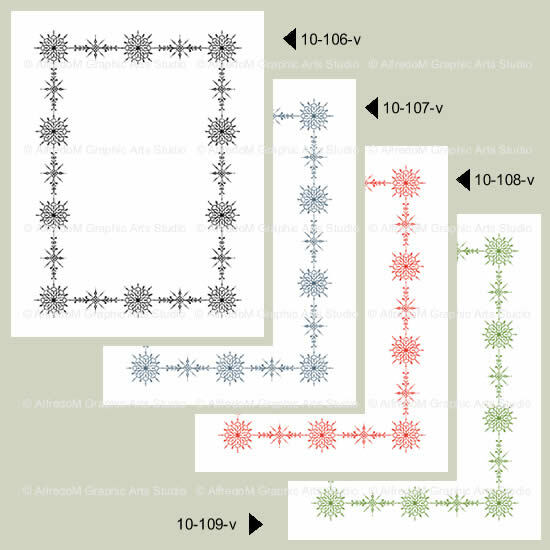 Resolution independent vector graphics insures high quality reproduction at any size. 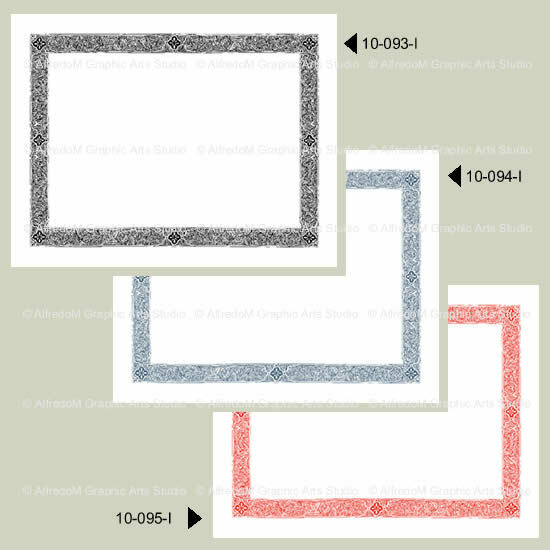 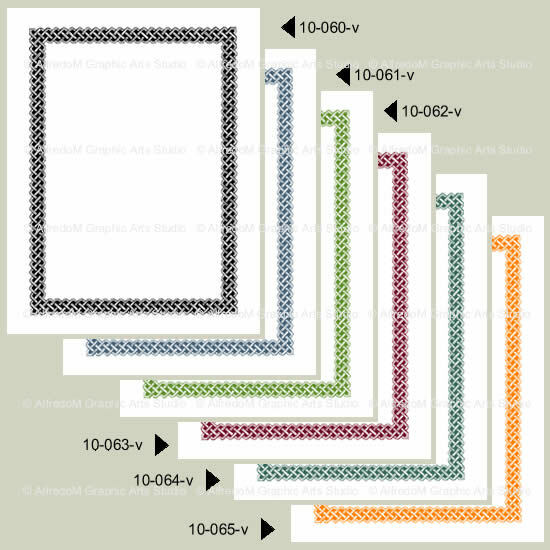 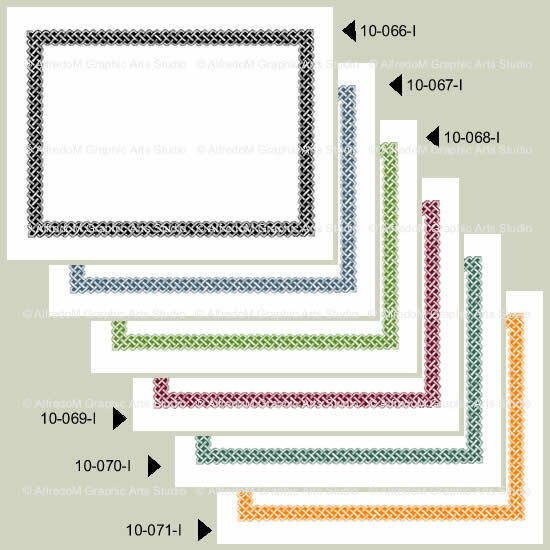 The images in the Word documents are in pixels free WMF format. 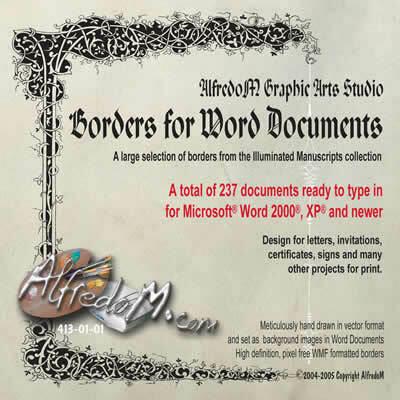 The documents will open in your word processor (Microsoft© Word© 2000 and newer) with the images already set in the background and ready to type. 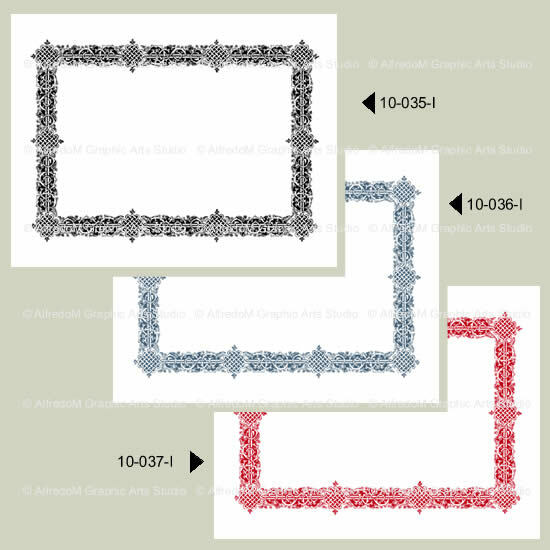 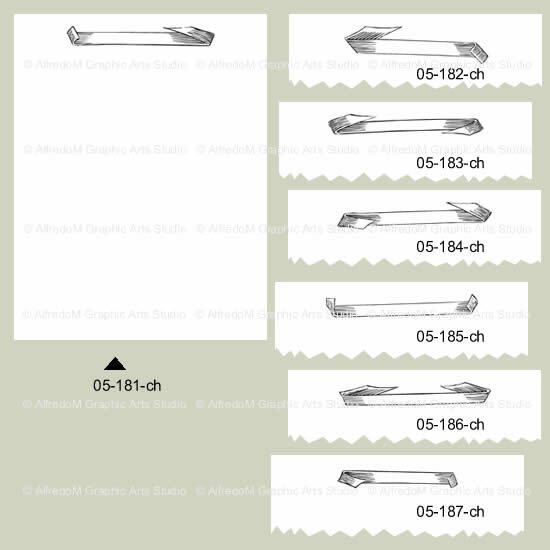 To facilitate the work for many of our customers, we simply created new documents in Microsoft© Word 2000©, we inserted the resolution-free WMF vector images in the backgrounds and we set the margins for a start. 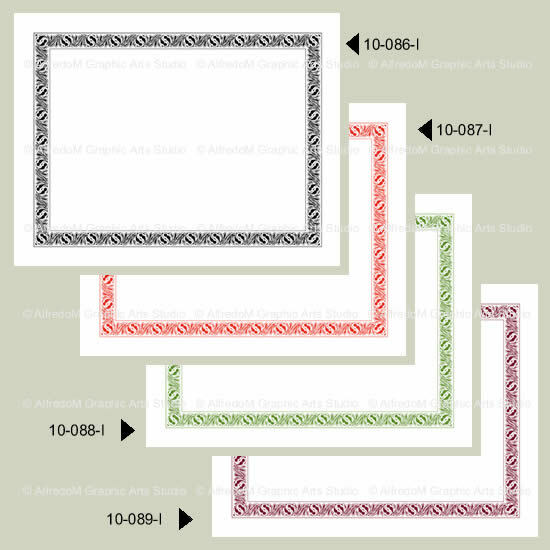 We also tested the files in Microsoft© Word© XP©, 2003 and 2007. 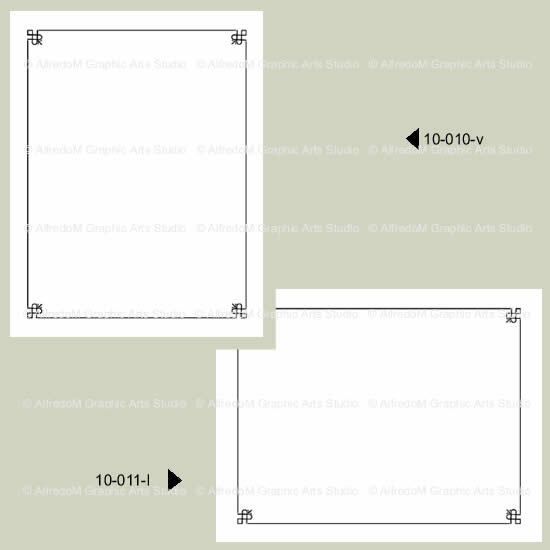 The files will open in older versions of Word and other word processors that support the .DOC format but the images may not appear in the right place and may have to be recentered. 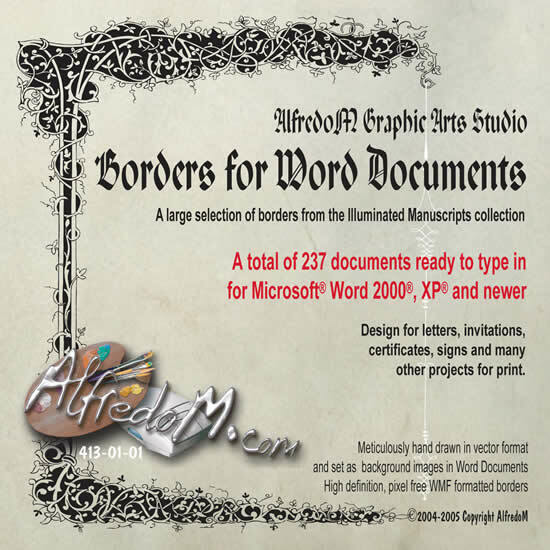 A collection of 237 pre-formatted blank Word documents ready to type in, with borders already set in the background.